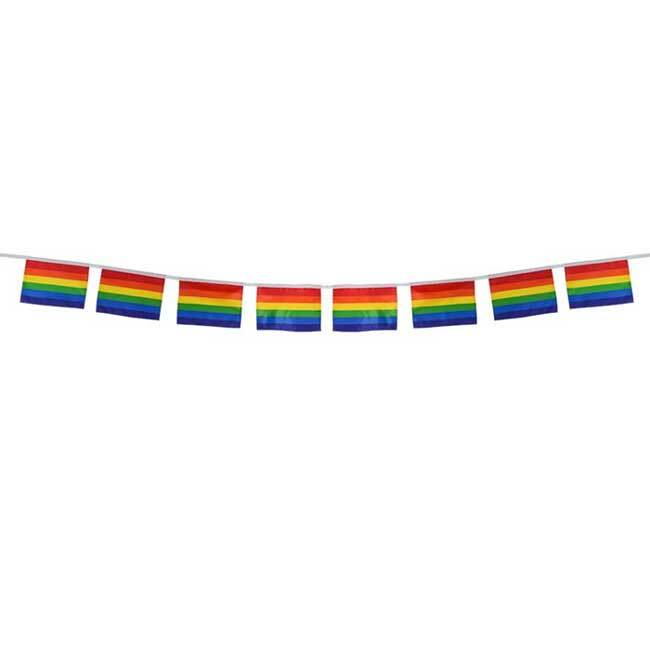 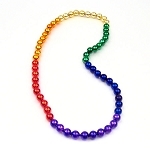 Distinguish your pride party scene or embellish any gay event with a 6-foot banner of nylon fabric mini rainbow flags. 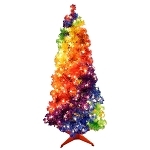 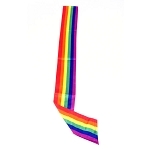 Featuring eight 9" x 7" horizontal gay rainbow flags in red, orange, yellow, green, blue and purple (from top to bottom), this 82-inch symbol of diversity and pride includes 20" ties on each end, a white nylon header, and is made with weather & fade resistant fabric. 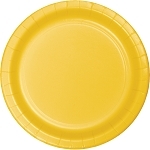 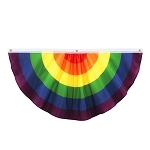 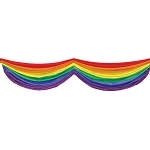 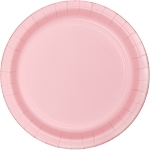 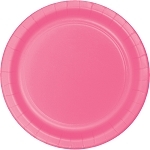 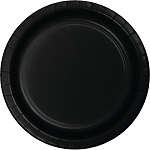 Coordinate with our gay rainbow flag tablecovers, toothpick flags, and double and/or single swag bunting for balcony railings, podiums, fences, parade floats, tables and walls.